This brand new home comes with a FIVE-YEAR 45% GENERAL TAX REBATE!!!!! Andover schools! Come check out this new spec home in Prairie Creek's newest, 3rd Addition in Andover. 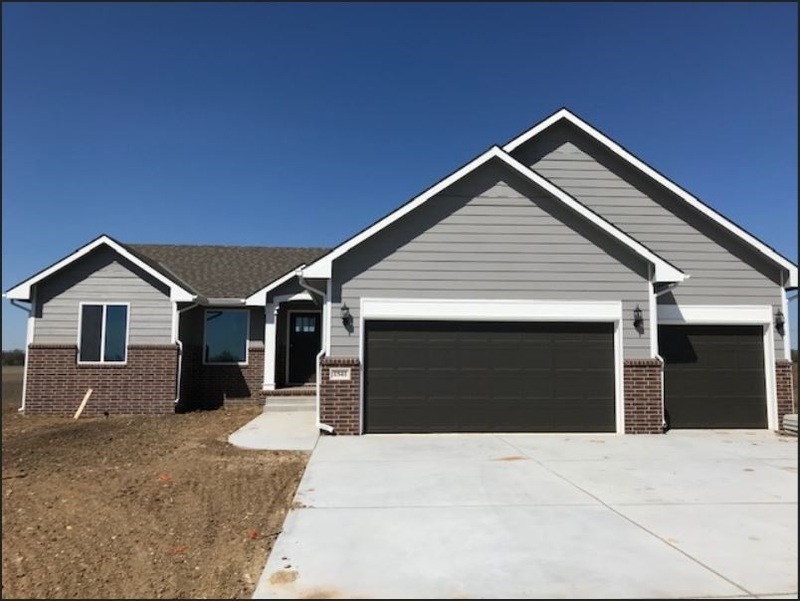 A split, 3-bedroom, 2-bath plan, this home features a luxury interior package that includes big, beautiful, wood-wrapped windows with crown molding, staggered kitchen cabinets with crown molding, and wood laminate flooring throughout the main living areas. The kitchen has a pantry and a large island with an eating bar. The master bedroom features a double-boxed, raised ceiling and a large, walk-in closet, and the master bath includes a shower and large vanity. Laundry is on the main floor in its own, separate room, and the basement is framed for two more bedrooms, a family room, and a rough-in bath. This home is just waiting for you to make it YOURS!